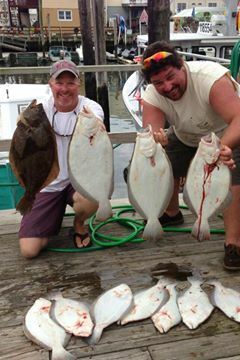 Barry V and the crew of the Ike and Dee where flounder fishing in the T.I reef this weekend and doing very well, when they hooked into something they know was not a flounder. To there surprise it was this 27 pound Cobia. Wile you can catch cobia in NJ its not a very common catch and Barry with remember this catch for a long time. 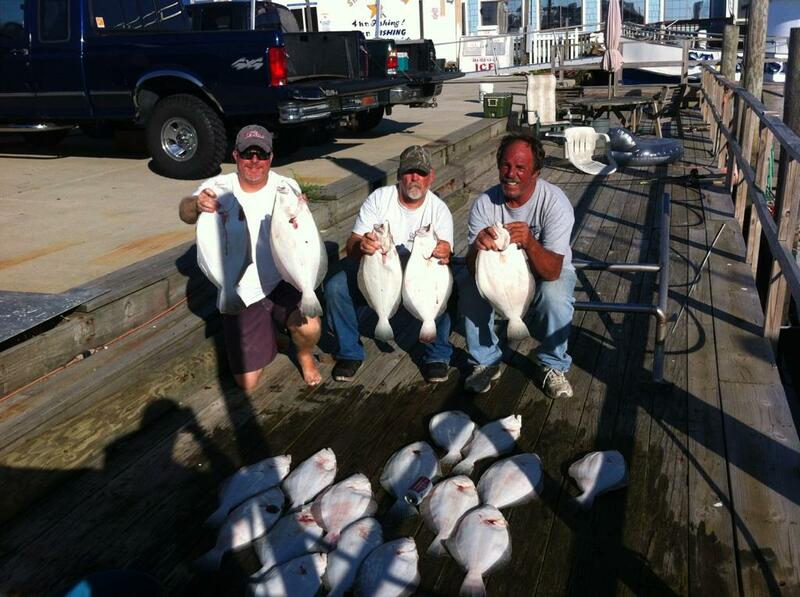 John and Fred had a great day of flounder fishing. Coming home with a limit… Several of the fish where over 6 pounds. Good job guys….